Formula One head honcho Bernie Ecclestone’s mother-in-law has been at the mercy of kidnappers for more than a week, and Brazilian police now reportedly believe the kidnappers to be an organized European gang. The gang had been “meticulously planning” the $36.5 million kidnapping for months, according to reports. According to the UK’s Daily Mail, kidnappers took the mother of Ecclestone’s wife Fabiana Flosi, Aparecida Schunk, at knifepoint in her Sao Paulo home on July 22. The kidnappers reportedly posed as delivery drivers to reach the house of Schunk, 67, in a gated community and buzzed the intercom, to which one of the two maids home at the time of the kidnapping answered. The group then forced its way into the door by knife and took all three hostage, per the Daily Mail, leading Schunk to her car and driving off. Police reportedly found the vehicle about 25 miles away from the site of the kidnapping, and forensic investigators are still examining it. According to the Daily Mail, a resident said the kidnappers looked to be around 18 years of age and might have brought guns along for the kidnapping. “Very few people in Sao Paulo knew who Ms Schunck is related to. “Police believe someone from outside Brazil masterminded the elaborate abduction after finding out she is Mr Ecclestone’s mother-in-law. “Officers have information indicating that the architect of recent kidnappings which targeted high-worth individuals was led by a criminal from Europe. The police conclusions reported by the Daily Mail and the Mirror have yet to be verified by other sources, but the ransom remains the largest in Brazil’s history. Kidnapping numbers are high in Brazil, but peaked between 2001 and 2002 with 321 cases just in Sao Paulo. The group behind the kidnapping demanded the $36.5 million to be delivered in British pounds and in four separate bags, which they claimed will ensure the unharmed return of Schunk. 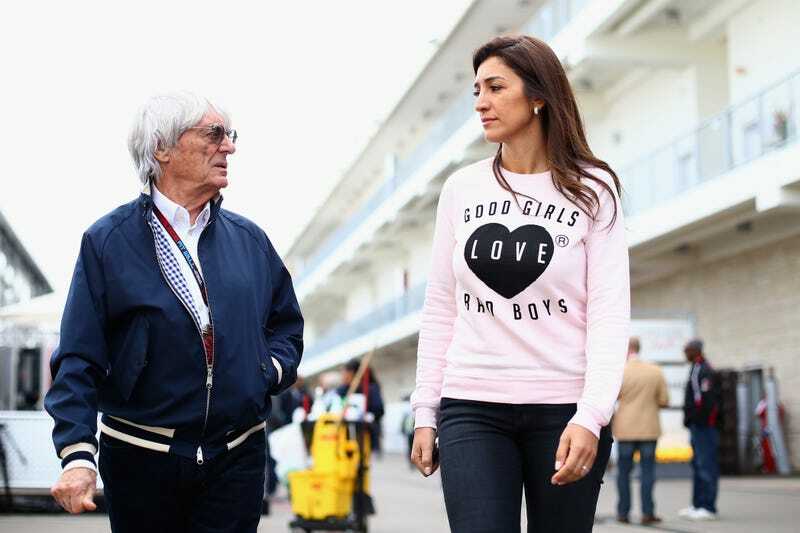 Ecclestone attended the F1 German Grand Prix at Hockenheimring over the weekend while also increasing security around his family, with bodyguards reportedly seen with his daughters during a shopping trip in Los Angeles on Wednesday.